This site discusses and tracks the use of Delphi-type methods in doing all kinds of research: academic, theoretical and real-world. Businesses can use the Delphi method to identify key issues, develop scenario plans and/or do horizon planning. Strategic Business Planning that use similar methods as those used by Delphi Method. A strategic planning workshop for strat plan development uses a modified SWOT planning situational analysis method, for example. But the Delphi Method works best for horizon planning, future new product planning and scenario planning. We like to integrate disaster recovery planning (business continuity planning) into the scenario planning process. 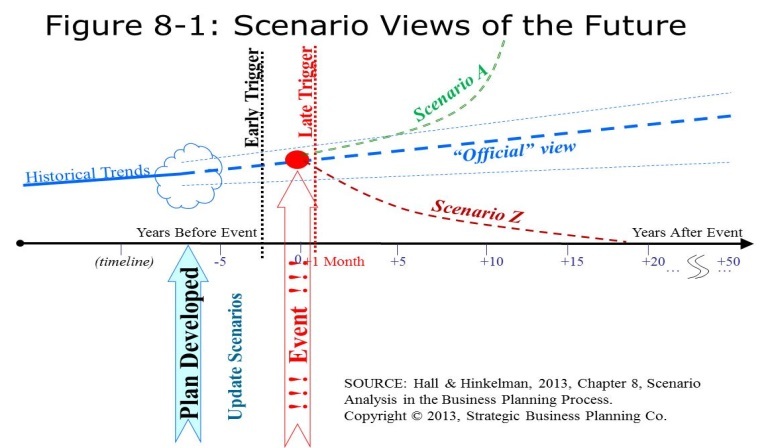 Strategic Planning company (Hall, Hinkelman and associates) have done research and publishing on scenario planning and Delphi Method research.